Anyone can come up with a branded ashtray by putting their name on it. 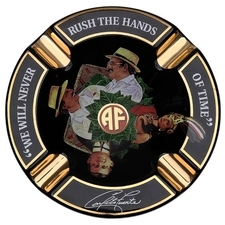 The Fuente family goes larger and livelier, and in full color - they could have made a double-sided poster with all the graphic design that went into this number. 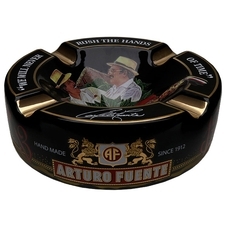 Today's Fuentes have expressed a "love of lithography" before, and back in the day founder Arturo made sure to employ the right skilled lithographers to ensure Fuente cigars had some of the best looking bands around, so, in the end how far they went here isn't a surprise.